If you’re looking for an efficient way to transport five people with lots of luggage in comfort, on long journeys that may take in some off-roading, then the Volvo V90 Cross Country may be an ideal solution. Volvo is enjoying a period of successful transformation thanks to its new owners Geely. The new design language is more sophisticated, the cars are refined, and there are efficient powertrains. 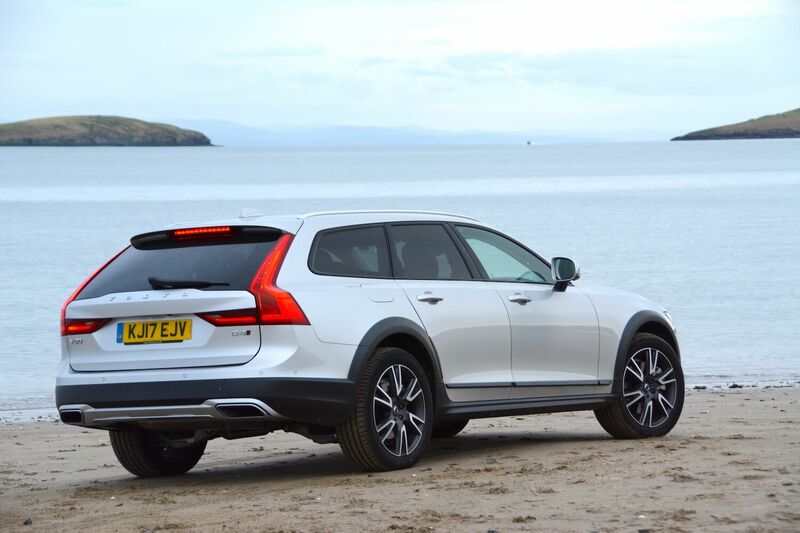 But can the V90 Cross Country Estate still transport a wardrobe from Manchester to Abersoch via a beach? The V90 shares elements of its styling with other current Volvo models such as the XC90. The front is simple and uncluttered, but in comparison the back of the car seems to have a lot of angular elements. 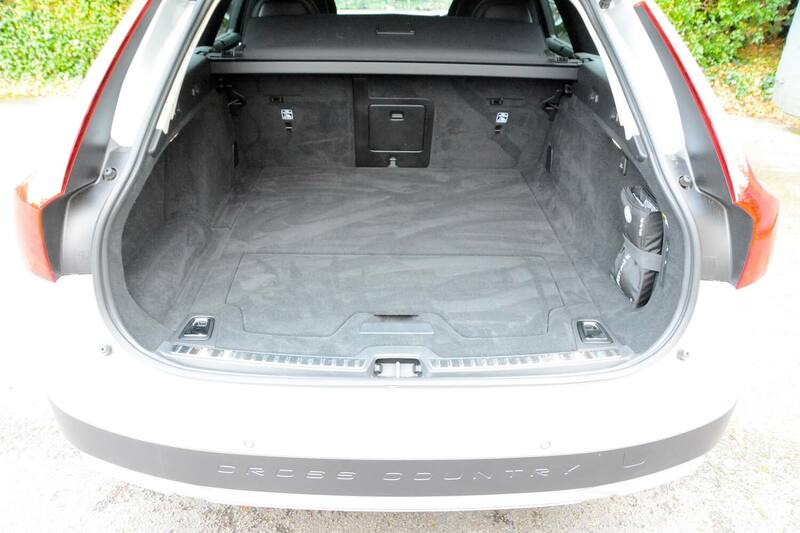 There’s lots of space for five occupants, and the boot is huge. 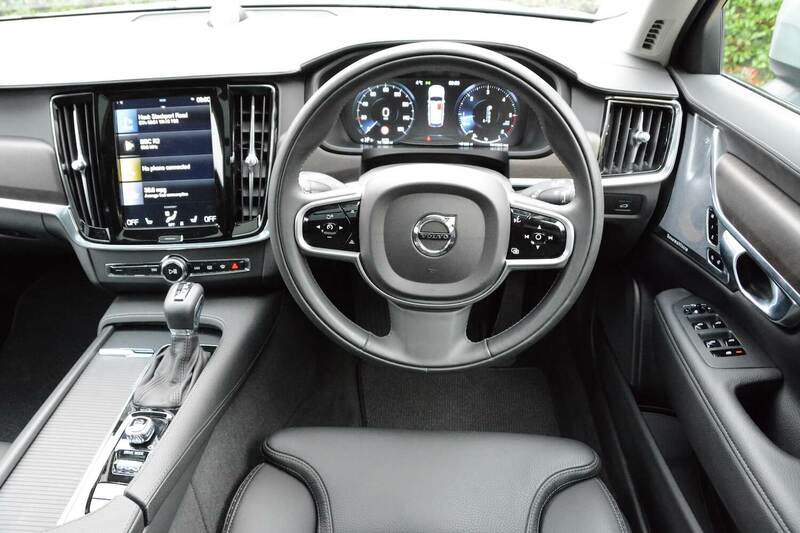 The interior will also be familiar to those who have driven the latest models such as the XC90. It feels upmarket, with a refreshing simplicity compared to German rivals. One reason for the simplicity is that lots of functions have been included on the touchscreen – with the result that some functions are buried away in sub-menus on the screen and can be challenging to find. 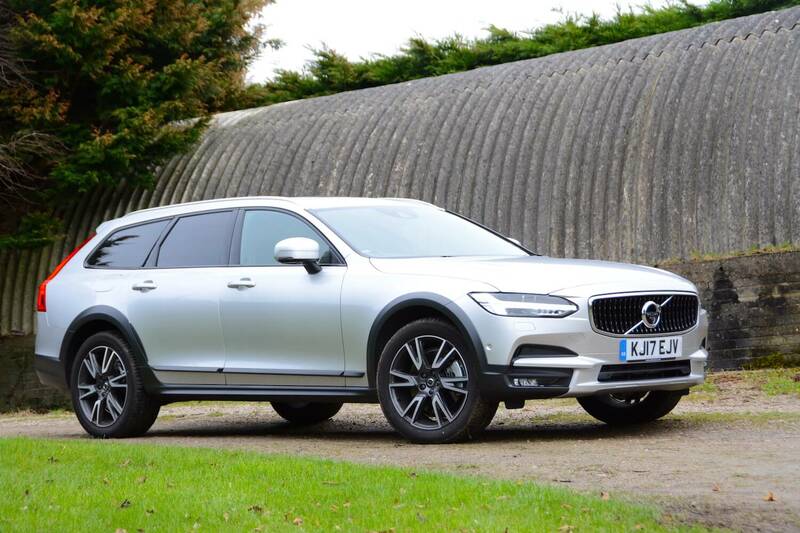 The V90 D4 has a 190hp, 4 cylinder, 2-litre diesel engine with automatic transmission, and the Cross Country model offers all-wheel drive and increased (210mm) ride height. The V90 driving experience can be summed up in two words: refined and comfortable. 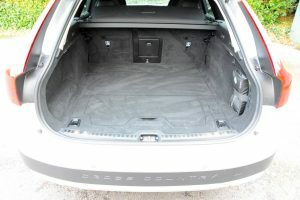 It’s ideal for transporting people and their stuff around the UK. 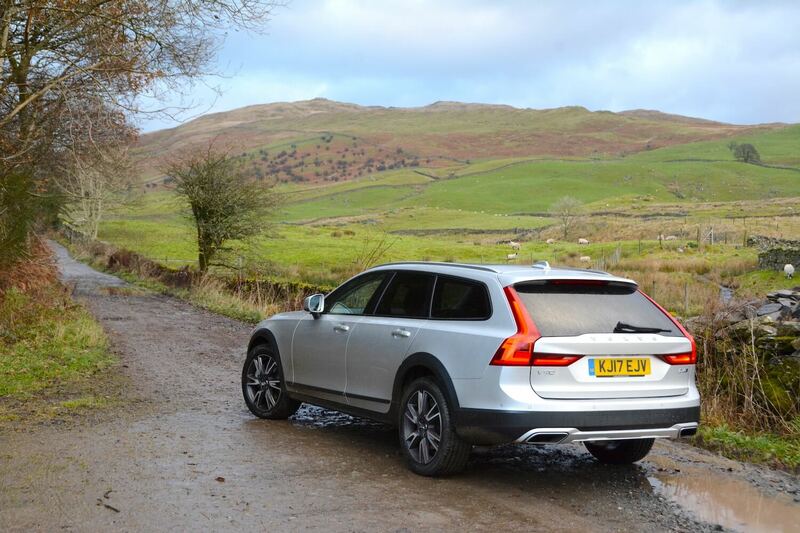 In the face of lots of drivers somehow managing to crash on our motorways on an almost constant basis, with the resultant traffic delays for thousands of motorists, the Volvo offers an oasis of calm. 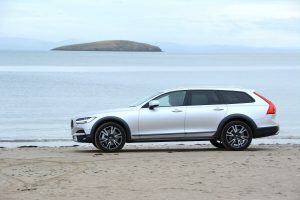 However this V90 Cross Country was presented with an unexpected last minute challenge; could it transport a large wardrobe belonging to Green Car Guide road tester Matt Terry from Manchester to Abersoch, negotiating the beach while it was there, and then get back in time for dinner with the family – and all with minimal use of fuel? This was not a clichéd “let’s see if we can fit a wardrobe in a Volvo” planned test, it was a genuine coincidence that a wardrobe needed transporting within minutes of the car arriving. So the first part of the test was to see if the wardrobe would fit in the car. 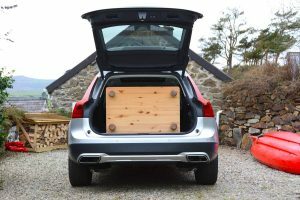 There’s been talk about Volvo estates not being as boxy as they once were, and so potentially causing problems for people wanting to shift large items of furniture. However no such problem here; the wardrobe fitted with no issues. Covering many miles on the A55 into Wales showed that the Volvo has a comfortable ride and the interior is generally a hushed environment. With its useful 400 Nm of torque, the 190hp D4 diesel engine is perfectly capable of coping with motorways, dual carriageways, country roads and built up areas, but, thanks to the transmission, it can be a bit slow from standstill. There are also no steering wheel-mounted paddles for manual gear changes, although you can use the gear lever to do this. 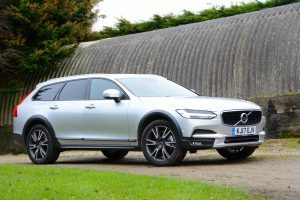 Volvo makes it clear that its cars such as the V90 are designed for a comfortable ride rather than for sporty handling, which we would agree with, but the handling of the V90 is better than that of a tall SUV. 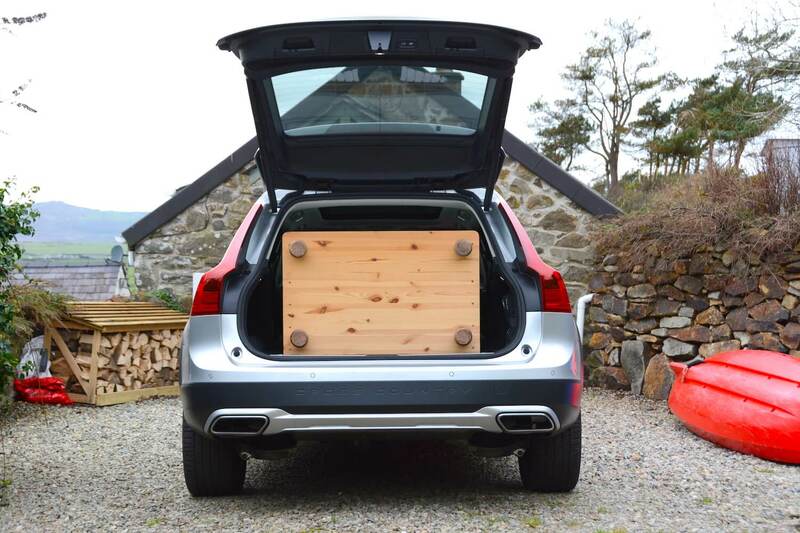 Raised ground clearance and all-wheel drive is useful when delivering a wardrobe to a cottage on a hill in Abersoch, but this didn’t provide a huge challenge for the car. So we thought it was important to also test the car on the beach while we were there. It coped with sand perfectly adequately, suggesting that it might be an effective tow car for boat owners. 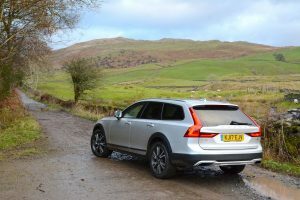 However the V90 Cross Country has standard road tyres; in our opinion, any car with ‘Cross Country’ in its name should be fitted with tyres that can actually provide decent grip if driving cross country – or in snow. Manufacturers such as Land Rover and Subaru do this – why can’t Volvo (and other manufacturers)? And one final moan – the key fob has a silly design – it’s very difficult to tell which button locks the car and which button unlocks it, especially in the dark. 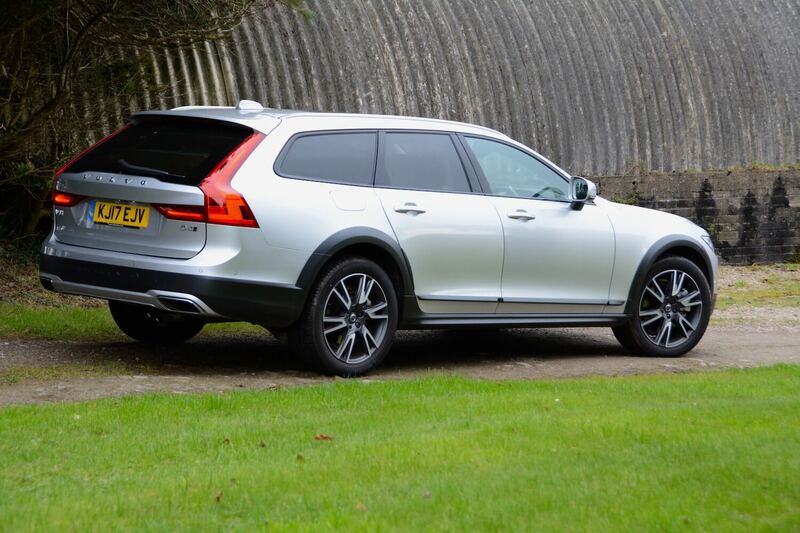 The official combined NEDC economy figure for the V90 Cross Country is 62.8mpg, equating to 119g/km CO2 emissions. So what did we achieve in real life after a week of mixed driving? Well, we achieved 49.3mpg at 70mph on the motorway, which is short of the combined figure, but respectable. But driving a heavy car such as this around town kills the real-life economy; after a week, we ended up with a disappointing real-life economy figure of 39.2mpg overall. 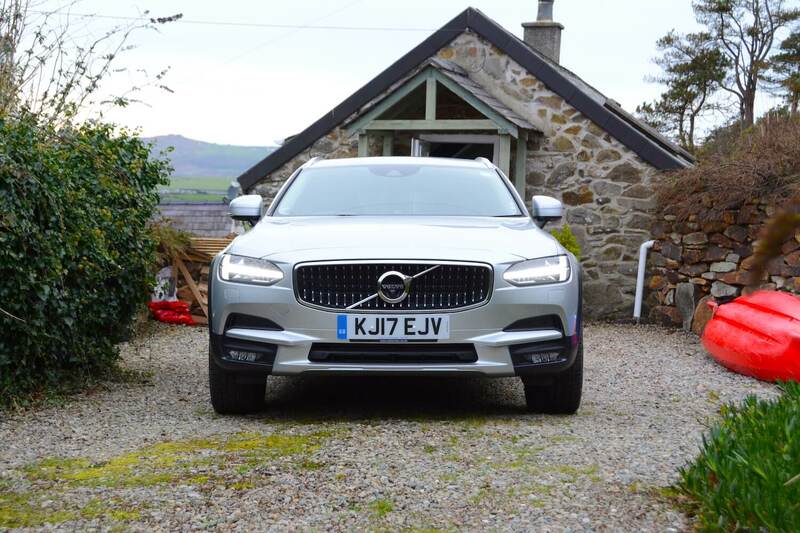 One strong point of the V90 is the long driving range – potentially around 600 miles in real life between fuel refills. Apologies to electric car owners, but you can’t deny that this diesel Volvo has EVs beaten in this area. 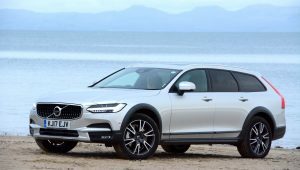 The Volvo V90 D4 AWD Cross Country Pro costs £41,105. 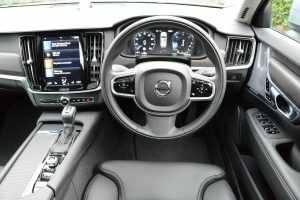 Our test car had the options of the Xenium pack (£1,750), Intellisafe surround (£600), Sensus connect with premium sound (£3,000), metallic paint (£700), keyless drive (£575), smartphone integration (£300) and CD player (£100), taking the total price to £48,130. 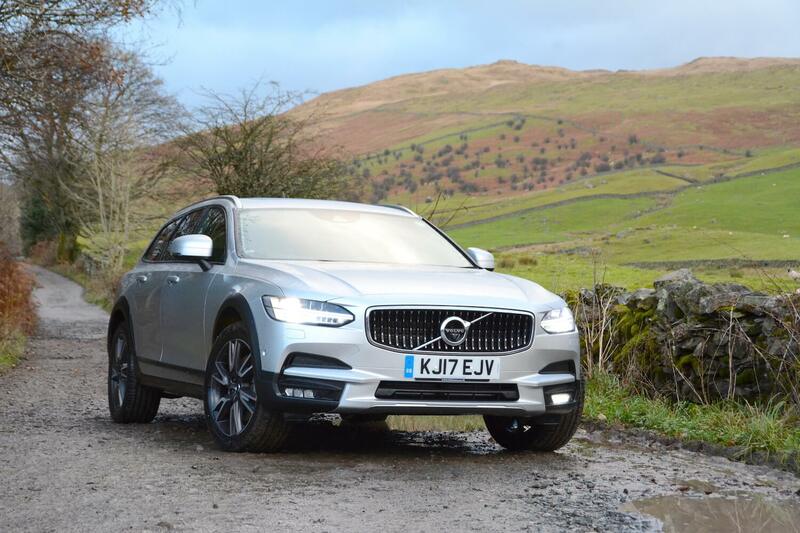 The V90 is available in Cross Country and Cross Country Pro trim levels. You can also have the D5 engine, or the petrol T6. The V90 is available with the petrol plug-in hybrid T8 Twin Engine powertrain, but this currently isn’t an option for the Cross Country model. Everyone wants an SUV at the moment, whether it’s a small, medium or large one. But the trouble with SUVs is that they’re generally tall, so they have rubbish aerodynamics, and so they’re not very efficient. 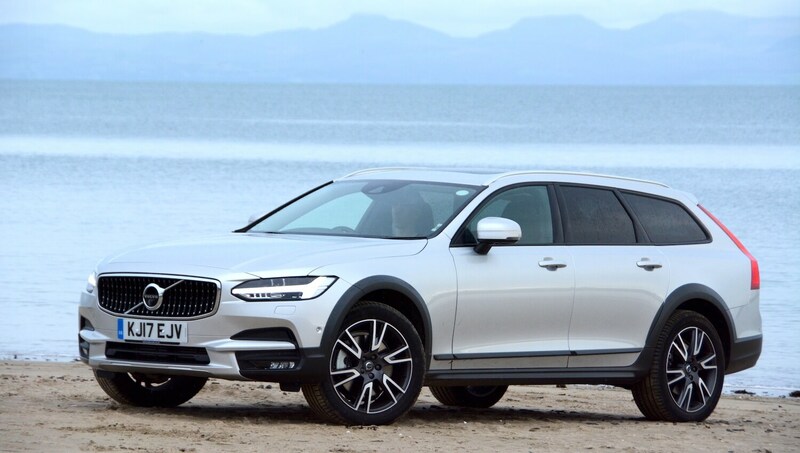 The Volvo V90 offers the security of all-wheel drive, increased ground clearance to cope with most off-road tracks that owners are likely to be confronted with, yet it has an estate body style, so it’s more efficient than a traditional 4×4. It also offers lots of space, refinement and comfort. What about economy and emissions? Well, economy is predictably disappointing when compared to the official figures, but it’s not too bad for a large all-wheel drive estate – that can still manage to transport a wardrobe. But should you buy a diesel? Well, it’s either that, or the T6 petrol with 176 g/km CO2 emissions. You can choose a plug-in petrol-hybrid V90, but not in Cross Country form. If you’re regularly transporting wardrobes for long distances around the UK, then go for the diesel Cross Country. If you’re primarily driving locally, with the occasional longer journey, then consider the plug-in hybrid ‘regular’ V90. The acid test with all cars that we review is “could we live with this car ourselves?” The answer in this case is yes, and for us, the AWD Cross Country model would be much more useful than the standard front-wheel drive V90 Estate. And the D5 would be more preferable than the D4, providing a better performance/efficiency balance in our view. 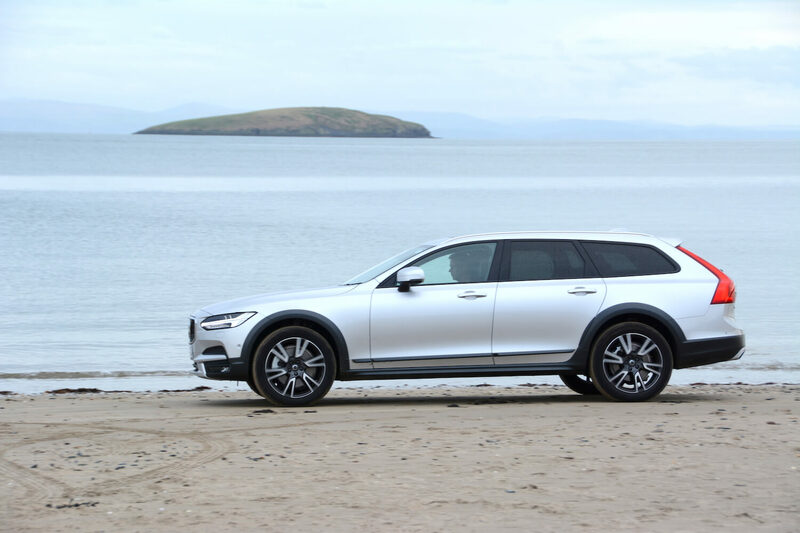 All in all, the Volvo V90 D4 AWD Cross Country Pro is awarded a Green Car Guide rating of 8 out of 10.